RICHARDSON, Texas – Service King Collision Repair Centers, an industry leader in high-quality collision repair service and one of the fastest growing automotive repair companies nationwide, today announced the continuation of its partnership with National Breast Cancer Foundation, Inc.® (NBCF) in recognition of Breast Cancer Awareness month. Together, Service King and NBCF aim to promote the critical step of early detection in the fight against breast cancer, including NBCF’s latest tool – the versatile Early Detection Plan mobile App. The effort, themed for the second consecutive year ‘Eliminate Breast Cancer’, extends through the month of October. The 2015 Eliminate Breast Cancer Campaign marks Service King’s second annual partnership with NBCF as part of Breast Cancer Awareness Month. Last year, Service King teammates from locations across the country rallied to raise a total of $112,000 for the foundation’s mission of Helping Women Now®. To help spread the importance of early detection, Service King is actively promoting NBCF‘s latest Early Detection Plan mobile app. According to the American Cancer Society, when breast cancer is detected early, in the localized stage, the 5-year relative survival rate is 100 percent. The app, available for iPhone and Android devices, in both English and Spanish, helps women be proactive about their own breast health by helping them locate nearby clinics and create customized reminders to complete their monthly breast self-exams and schedule their annual clinical exams and mammograms. Meanwhile, Service King teammates will once again support NBCF by wearing pink Eliminate Breast Cancer t-shirts at locations across the country this month. Each t-shirt recognizes a direct donation to NBCF, its efforts to support early detection and its ultimate mission of Helping Women Now®. Recognized as one of the leading breast cancer organizations in the world, NBCF’s mission is to help women now by providing help and inspiring hope to those affected by breast cancer through early detection, education and support services. 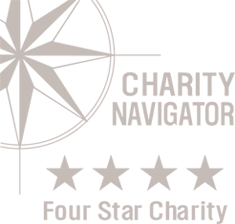 A recipient of Charity Navigator’s highest 4-star rating for eleven years, NBCF provides women Help for Today…Hope for Tomorrow® through its National Mammography Program, Beyond The Shock®, Early Detection Plan, and breast cancer research programs. For more information, please visit www.nbcf.org. Service King is one of the largest multi-location operators of collision repair facilities, dedicated to offering customers an overall superior service experience. Founded in 1976 in Dallas, Texas, Service King is a leader in the collision repair industry, currently servicing customers at more than 250 locations in 23 states. For more information about Service King, visit www.ServiceKing.com. Follow Service King’s news on Facebook, Twitter and the company’s official blog, The Service Advisor.